Here is my Whisper quilt finished!! You may have notice that my free hand swirls are kinda wonky, we that is not on purpose. I am finding my Mille harder to move these days and discovered a few weeks ago that my rails and wheels are really wearing down and making the machine harder to move smoothly. So I am considering an upgrade to the Bliss system that runs on ball bearings instead of wheels on the table rails. 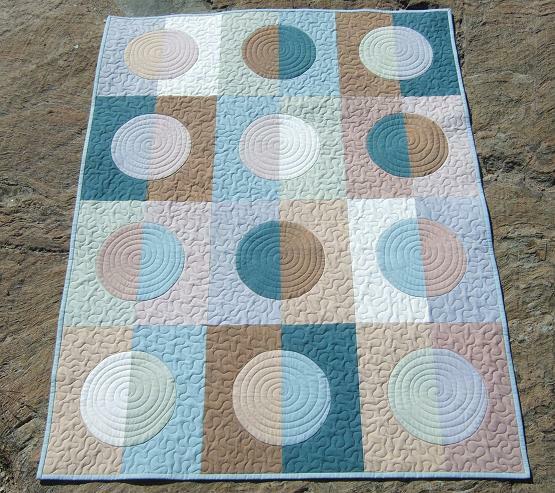 I have a online quilting friend that has offered to let me try her machine with the Bliss system as she just upgraded and loves the new system. We have a date booked to get together this summer and I am really looking forward to finally meeting her!! So it is a good thing I take the summers off from quilting for others and I can do a bit of maintenance on my machine and get her running 100% again. This last picture taken in the shade shows the colors of the fabrics best. 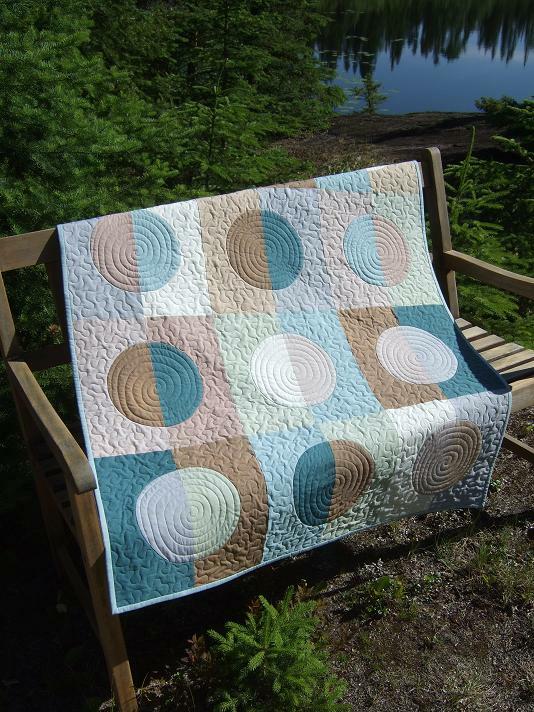 Mmmmm ...every time I look at this quilt all I think about is Ice Cream!! I guess I'm going to have to rename this one " Ice Cream Swirl!" I have one more client quilt to finish for the month but I have been waiting on a thread order. Hope it arrives on Monday as I have a busy week with the boys writing exams and finishing up school plus a day trip to the orthodontist that is out of town. You are absolutely right...the quiltng makes it come to life. Now I have to get some chocolate ice cream. I agree. The quilting really makes your quilt sing! OH I love it. You are so right, the quilting sobrings it to life. 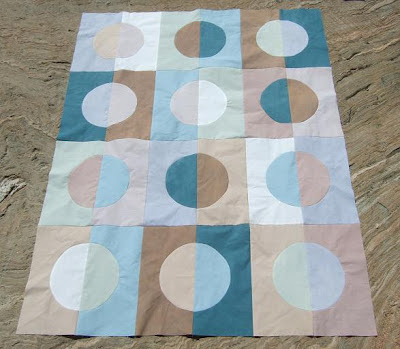 You have done a fantastic job with the dying of the fabrics to the finished quilt. 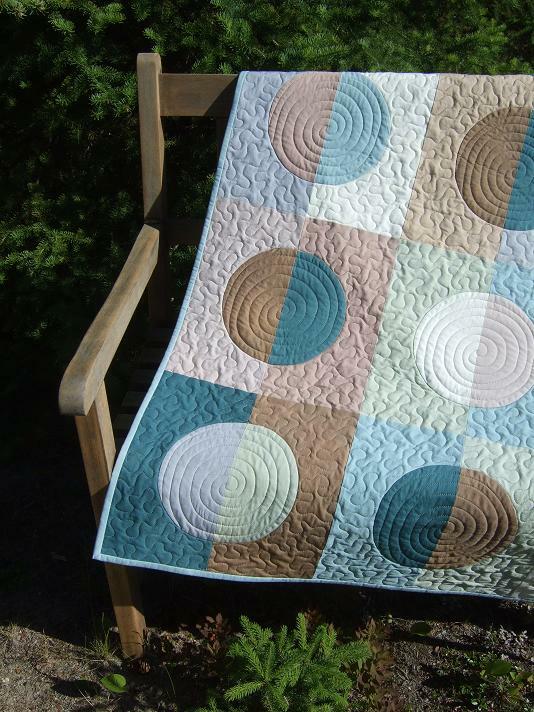 Oh I absolutely love this quilt finished and such a fabulous colour scheme. Take care. Love this quilt and your quilting, Kathy. 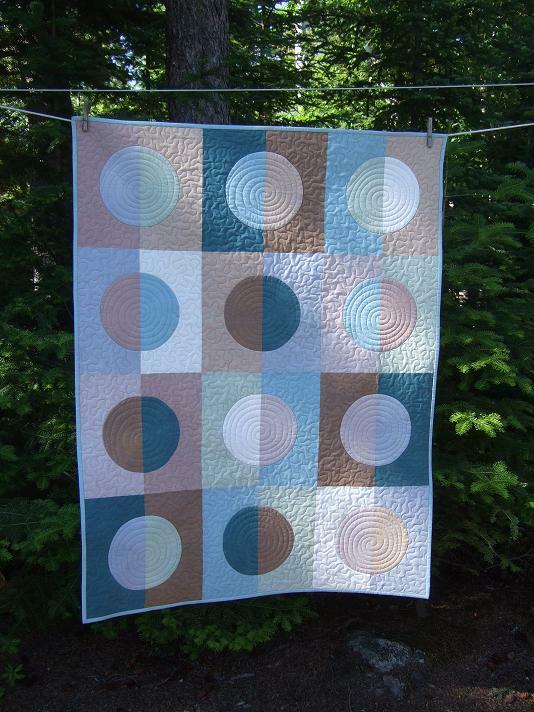 You must be extra proud having made this quilt right from the dyeing of the fabrics to the quilting! Looks super! As always you did a beautiful job. 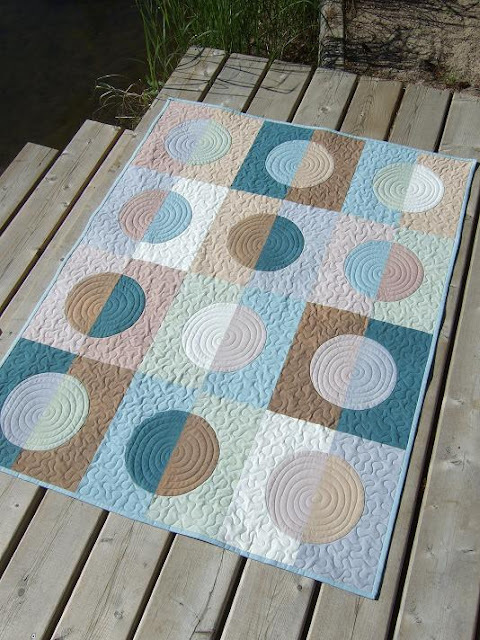 Always amazes me how quilting the top can change the look of the quilt. I love everything about this quilt, and I love the before and after quilting shots. Quilting really does change things. This is beautiful. I like the "wonky" swirls! I was thinking you were brilliant for quilting them like that!